Everyone in the Western world knows the story of “Goldilocks and the Three Bears”, with the 3 memorable porridge bowls: not too hot, not too cold but at the just right temperature. These last few years, in the world of self-development and business/marketing, you may have encountered her tale as a metaphor for making the just right choice, finding the just right solution, client, career, level of productivity, preferences, even life-purpose and whatnot. Last week, I attended a class for coaches, and the lecturer recommended us to do our theoretical/methodological explaining as to a 5 years old. The rational was that if a 5- years-old can’t understand it, there’s a big chance that the person in front of you won’t be able to understand it either. I don’t mean to be disrespectful to this otherwise capable lecturer, but he seemed to make a case for dumbing down rather than simplicity, which was not his intent in the first place, I have no doubt. His discourse left me nonplussed, to say the least, in the same way I feel towards Goldilocks, the little rude girl, as my daughter calls her. 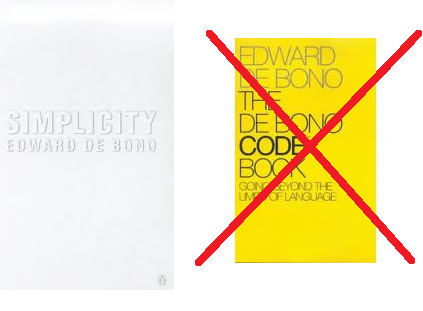 I find De Bono’s Simplicity book very interesting and insightful in parts, but I don’t agree with everything he has to say there, especially as regards his indictment of complexity and French books [p.69]. Have you read his book The De Bono Code Book? : it is so simple that it turns into its opposite. Nearly all the negative points he outlines against complexity could apply to his own book. I found the book an excruciating torture to read/study and could not finish. If the average reader has only 4000 books to read in a lifetime then, this book is a total waste of time. Maybe De Bono confuses ‘complex’, with ‘complicated’. One important goal of self-development, as I see it, is ‘complexify your identity’. By this, I mean : who you are becoming, through your experiences, your encounters, the connections you make, what you learn, your insights; is a person richer in nuances, more authentic and who is ready willing and able to see things from different perspectives, without buying into moral relativism, the pitfall. Paradoxically, adopting simpler behavioral responses, simplifying one’s life is one by-product of your becoming more complex, more nuanced, as opposed to complicated. Georges Costanza, in Seinfeld, offers another aspect of the fool, who loses himself in snow-ball complications because he is sooO complicated, among other bad habits. Even in ‘the opposite’ episode, his success is of short duration, because he is still George Costanza- The-complicated. He doesn’t really change, so his life remains chaotic… for our delight. Goldilocks’s experimental method is adequate for 5 year olds. Icarus’s myth is more suitable to youths and adults, ordinary people who seek to live extra-ordinary lives. The stakes are much higher than porridge-scale dilemmas. 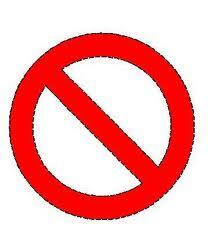 Though trial and error is unavoidable in life, we cannot make all the mistakes. Indeed, as Eleanor Roosevelt suggests “Learn from the mistakes of others. You can’t live long enough to make them all yourself. ” Moreover, not everyone is lucky enough to get second chances with one’s experiments. Icarus’s story and metaphors, among countless complex others in the treasure trove of world literature, offer one such possible self-development doorway, through its multi-faceted characters and rich themes.